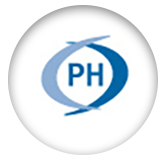 Pacific Hygiene has been working with Leigh Paulden for the last 20 months. During that time our Senior Management Team and myself have enjoyed working with Leigh, where we have all been challenged to fully understand the changes in the marketplace, what’s driving them, and how we must position our company to successfully continue to grow profitably in the future. Working with Leigh has also grown our Management Team as individuals, allowing them to contribute more and assist the company to achieve its full potential. Implementing the principals of the Rockefeller Habits, with guidance from Leigh, means that we are all aligned and motivated to achieve whatever is possible. I look forward to continue working with Leigh in the future and would recommend him to any business wishing to grow aggressively in the marketplace.